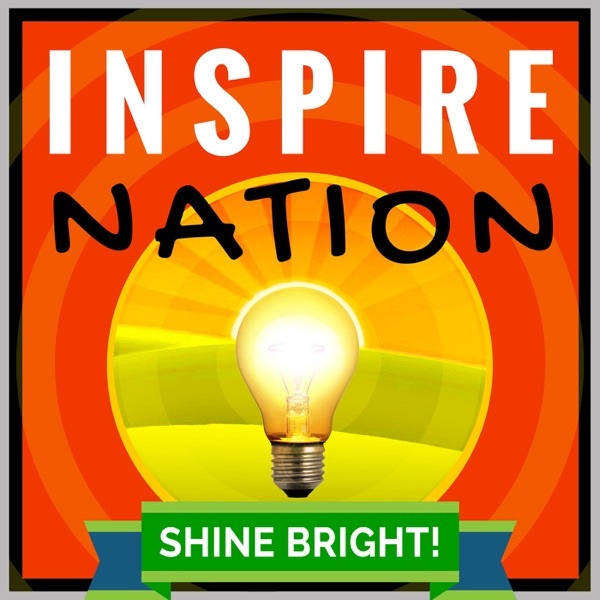 Inspire Nation | Daily Inspiration - Motivation - Meditation | Law of Attraction | Health | Career | Spirituality | Self-Help | Listen Free on Castbox. Our Goal’s to Help Change the World by Helping YOU to Shine Bright! Now one of the top self-help & spirituality shows in 193 countries w/a new inspirational, motivational, spiritual, law of attraction or health-oriented guest DAILY! Plus guided meditations! After overcoming 2 near-death accidents, Host Michael Sandler felt a calling to start a life-changing show to help you live the life of your dreams! Love this super insightful talk. Thank You. This episode was one of my top favorites! I absolutely love the idea of 'experimenting' to put fears and doubts at bay. I normally skip the meditations since I listen while I drive, but listened to this one. I am so grateful for it and will definitely listen again. Thank you, thank you, woo-hoo, thank you! omg I have so many things to day about this episode . Omg was wat i cld think if cuz im so excited . I just got the book and are so stoked. I love people who are truly who they are . Being yourself no matter wat is absolutely sick af fr. thank you so much i feel so empowered by knowing that it's okay to fail as long as you get back up. my 7 year old is like a mini life coach she is everything I wish I wld had learn . One of her sayings is we don't give up mom. Rember we are strong and will always get back up . She's an artist and one thing I taught her about being creative is that mistakes are beautiful because it teaches us how truly strong we are. I'm so grateful for wonderful people like you guys . my daughter and I know and believe that everyone is special and beautiful in there own way. Thank you so much. You have made my day n life in general . God bless you guys and everyone. Keep trying n know that when u feel lile your not worth anything . Rember that you are . Even to me whose a total stranger. Thank you again!! Everyone on our planet is here for a reason . It may take time to find the reason but its there . Sending love and blessing to all!! God bless all !! Good episode, I think we can call the Alter Ego as also the Shadow Self or Twin Self. Every individual has an alternative personality that remains hidden. Often this may be contrary to what we are in real life. In the external world we display a persona that is conditioned by family & societal norms. But this doesn't always reflect our true character. The Alter Ego portrays our soul's true nature! We all have duality of cosmic principles within us. These need to be balanced to achieve self mastery in life! I cried with you Michael, sending you some good vibes and love. Thank you for sharing. This podcast was great and at first I felt really inspired but lately I can't help but to roll my eyes at all the pseudo science. For now, I'm unsubscribing. amazing insight and SOOO true, it's truly all about cause and effect, thank you for bringing this to light! hello bright and shiny soul brethren. i came to help you with a few typos, because everything discussed today, i already knew like the back of my hand. love this episode! I'm going to be spreading more love so I can have a better life review :). also I'm going to try to contact my grandmother who I miss dearly. Hey, I just want to say thank-you for your podcast. I just started listening to it a few days ago and it has helped me so much. I have been feeling like I need something more in my life and I am learning so much! I found your podcast on Castbox and continue to listen and keep finding sequences in it. My name is Jessica Lee, I have an eating disorder, I get messages from animals! I wish I would have wrote them all down you would trip!